JMW: Hello, this is Jean Marie Ward for BuzzyMag.com. 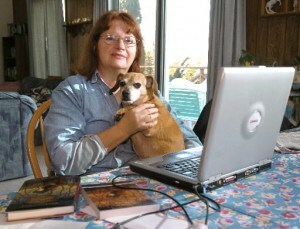 With me today is award-winning, science fiction, fantasy, and mystery author, Nancy Springer. Welcome, Nancy. JMW: It’s seldom a writer finds success in two completely different genres. But you’ve written award-winning novels in both mystery and science fiction and fantasy. JMW: What inspired you to pursue this double-track approach to writing? Nancy Springer: Well, actually I started out believing, and still do believe that a good writer should be able to write just about whatever, or at least a good fiction writer. So before I got to the mystery, I was also writing contemporary fantasy, and I was writing children’s books, course books for kids that branched out into other kinds of books for kids. What’s happened with the mystery was that one day I gave myself an assignment. That’s the thing that writers do. Once I gave myself an assignment to write not using dialogue. I had a mute character. And it resulted in the best short story I’ve ever, ever written, which was called “The Boy Who Plaited Manes ,” and it was a multiple award nominee. 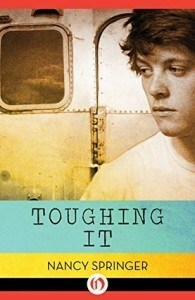 Nancy Springer wrote “Toughing It” in 1994 and it won the Edgar award for Best Young Adult. 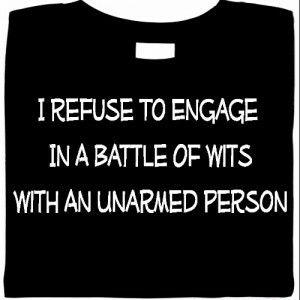 Anyway, I gave myself this other assignment to write a book for kids who do not like to read, grow cattle for vegetarians, sell guns to pacifists. And I knew that most kids who do not like to read are boys of the teenage ilk. And I said, “Can I do a gang-type novel? No, I don’t have the authority to do that. Can I do this? Can I do that? No.” But I can do farm-boy-type young men, like the kind of, “I don’t like to read farm kids that I grew up with.” And I had also been tutoring literacy, so I knew what it was to be very poor and living along the Susquehanna River, in a trailer that would wash away with the next flood. So I did a book about that boy. And the murder part, the mystery part, his older brother is killed in a…it’s a shotgun rigged up in a tree. And he’s absolutely devastated. He is convinced that he’s going to have vengeance. He almost kills an innocent man. And, for me, the book was more about the grieving process and the finding himself without his brother. I had no idea it was mystery. JMW: Isn’t it terrible when your kids are right? Nancy Springer: Oh, yeah. So I eventually ended up getting the book good, solving the mystery, and also getting…Tuff is the kid’s name. The book is called “Toughing It .” And I managed to get him through his problems a little bit, on the road to recovery, and it won an Edgar. Nancy Springer: And I said, “I don’t write mystery. This makes no sense.” But I went and I accepted the Edgar. It was a great astonishment. 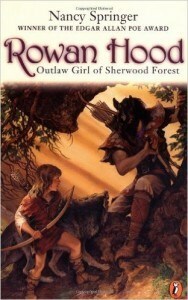 Rowan Hood Book 1: Rosemary roams the Sherwood Forest looking for her Father-Robin Hood. Along the way, she picks up a few friends. So I gave Sherlock Holmes a younger sister that nobody else was aware of, and I made her capable of running rings around him, because he was a misogynist and he did not understand women or the ways that women communicated. It’s called “The Enola Holmes“…well, the first one is called “The Case of the Missing Marquess “. It’s the most popular thing I’ve ever written, which is annoying as hell because Conan Doyle is a misogynist, and I’m standing on his shoulder, so to speak. Rowan Hood Book 2: Lionel runs away from his demeaning father and joins a misfit group of friends led by Rowan. 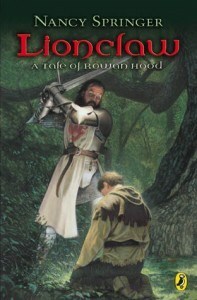 In turn, his father (Sir Lionclaw) sends bounty hunters out to take Rowan hostage, and use her as bait to get him back. Lionel stands up to father. JMW: And he hates that. I think you should be delighted. Nancy Springer: Well, I guess it is fun to have Enola coming…Enola backwards spells “alone”. And she was very much alone. By her 14th birthday, she was alone with…her mother had deserted her, and her brothers wanted to send her to finishing school, which meant being tightened into a corset until she couldn’t breathe, and would fall into faint at the slightest provocation. So she ran away. And that’s my best attempt at mystery, I think, so far as the Enola Holmes series. There’s six of them, and they are popular all over the world, in places that you would not believe. JMW: What are the similarities between writing speculative fiction and mystery or are there any? And what are the differences? Nancy Springer: Well, as far as I’m concerned, I still don’t know how to write mystery. But the speculative fiction, you have to create an imaginary world that is consistent and believable. And writing the Enola Holmes books, for instance, I had to go back into the late 1800 in London, and make it a world that my readers were not familiar with, that was believable. So there was a lot of the same kind of research involved. Luckily for me, Hitler had intervened in London sufficiently so that I could fudge. Enough had been destroyed and rebuilt, and so forth, that I could cheat a little bit when it came to getting 18th century, late 19th-century London exactly right. JMW: Yeah, nobody could say differently. Nancy Springer: But as far as writing mystery and writing speculative fiction, I’ve also written contemporary fiction, and…heavens, I don’t know. It’s all fiction. It’s all a story. It’s all a novel. The basics remain the same, all the way through. The Book of Isle Part 1: White Hart takes place in a magical world where mortals and immortals coexist. Bevin, son of a powerful man, and Price Cuin are in a rivalry over a girl, Ellid. JMW: You’ve mentioned on your blog that most of your novels arise from trauma. Is writing evil or writing, in general, your way of exploring these incidents or exercising them or a little bit of both? So I started to offload those daydreams by writing them. And with each completed book, looking back after a year or two, I could see, “Oh, that was about…” Basically the first 5 or 10 books were about me trying to get my suppressed side together with my public side, trying to make myself whole. After that…The book saved my life really. I would’ve been probably institutionalized or dead by now if it were not for having written the books, and also for some professional therapy, and so forth, and all the good things that Prozac has to offer. The Book of Isle Book 2: Sun Kings reign with the power of the Book of the Suns, Hal and Alan must use the ancient strength of wisdom to destroy the evil that plagues the kingdom. They travel throughout the land fighting all kinds of evil in order to complete their mission. JMW: Yeah, it does help quite a bit. Speaking of good things, I think this is even better. Open Road Media is bringing out electronic versions of your fantasy novels. Would you tell our viewers a little bit about that? Nancy Springer: I would love to. They went right back to the very beginning. 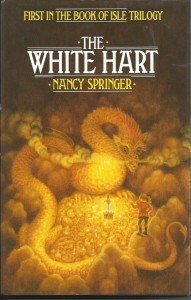 The first thing I wrote was “The White Hart .” And this is their cover, the electronic cover. This is the old cover from way back when…They did the whole series, “White Hart,” “Silver Sun ,” “The Sable Moon ,” “The Black Beast ,” Golden Swan “. They did a lot of other good stuff, too, including that “Fair Peril ,” which I think…the frog. That’s the funniest thing, I think, I’ve ever written. It was written two years before my divorce. It was foretelling my divorce, everything in me, except my frontal cortex, understood about the divorce. So it was written from the point of view of an overweight woman who is huffing and puffing through a swamp, talking to the trees, who are not listening, about what her husband’s doing with his bimbo. And a frog says to her, “Kiss me, and I’ll turn into a prince.” And she says, “Right now, what the heck do I need with a…I’d much rather have a talking frog.” And she grabs him…old joke. And she’s going to use him to put her on the map as a storyteller. But unfortunately he manages to seduce her teenage daughter, and they run off together to Fair Peril, and she wants to get her kid back without her being pregnant by a naked prince. JMW: Yes, or a talking frog. Nancy Springer: Both being the same thing. So they have done…they sent me 20 covers, but they have actually done, I think, 29 of these, and they have also done a number of my children’s books. 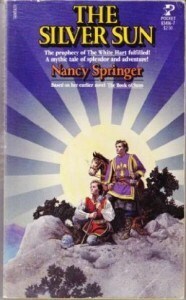 Nancy Springer received two Edgar Awards for her novels Toughing It and Looking for Jamie Bridger in the Young Adult and Juvenile Mystery categories, won the Carolyn W. Field award for I am Mordred and Larque on the Wing won the Tiptree Award. Her first novel was published in 1979 and she has written more than 50 books. JMW: Oh, how wonderful. That looks like some of the horse books, too. JMW: And they’re going to be out, when? Nancy Springer: They’re all out. JMW: Oh, wonderful. Wonderful. So, what are you working on now? 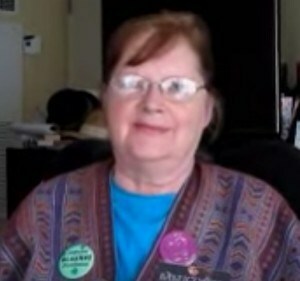 Nancy Springer: I’m working on something about a 67-year-old woman who lives in a very rural area of Florida, in a little concrete bunker of a house. And she can’t quite figure out who lived there before her because there are bricks strewn all over the yard. You try to mow, and you run up against bricks. What were they doing? Throwing them at each other? What was the deal? So the woman in the…Everything I’ve just said describes myself. But the woman in the book goes out and she tries to rid her lawn of bricks. And in so doing, she discovers a skeleton of a child. And the remainder of the book is largely about being haunted by the child, who was an abused child, and indeed was killed as a child, and how to lay the child to rest, how to solve the mystery, so to speak, but also how to lay the child to rest and rejoin his spirit with his bones. JMW: Cool. That sounds wonderful. I can’t wait to read it. JMW: Yeah, I was thinking, and you don’t write mystery, right? Nancy Springer: Just that writing has been so, so, so good for my life, that it’s been the thing that…at the times in my life when I needed a little bit of self-esteem, writing has been what gave it to me. Fans, people who read my books are the most precious people in the world to me. JMW: I can’t top that. Thank you, Nancy. And thank you for BuzzyMag.com.